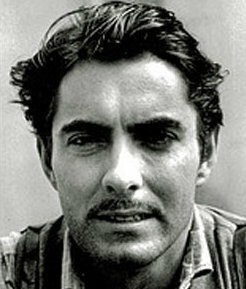 Help Us Get Tyrone Power a Postage Stamp! We want Tyrone to have a postage stamp for his centenary which is in 2014. This means we have to start pushing the Post Office for a stamp NOW. We need help from all his fans. The card or petition should say something like this: "This is to propose (or suggest, nominate) film legend Tyrone Power (1914-1958) for a postage stamp. He served his country in WW II and made many good will tours to other countries on behalf of the U.S. 2014 is the 100th year of his birth. He was a great actor and patriot who deserves to be honored." Please go to our Facebook page and say you "like" our page (on the left side) or "Like" us right here from the below box- we are forwarding this to the Stamp Committee. THANK YOU in advance! Any questions, please feel free to email me at mariaciaccia@yahoo.com .